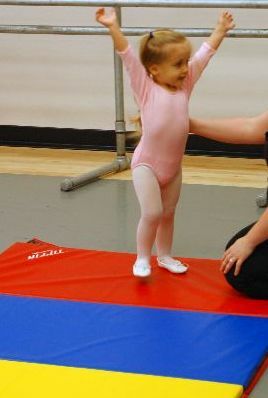 DancerGarten is for the young dancers ages 2-4 who's love for learning can hardly keep them sitting still! Teaches the basic building blocks of dance while stimulating other areas of the brain by involving reading, art, music, and creative play. Teaches vocabulary for basic movements. Models the structure of a dance class setting. Fosters a true love for dance! Written by professional dancers and successful certified educators, all trained in both the technique of dance and the pedagogy of young students. Each week will have a different theme that can be explored in multiple ways with dance, poetry, stories, songs, props, costumes or crafts. The final week will be a Family Presentation Day where teachers, dancers and parents alike can celebrate all of their growth and accomplishments. Our DancerGarten program does not perform in our annual spring performance.